Apple has yet to unleash any type of near-field communication (NFC) technology for mobile payments with iOS, but that may change with the iPhone 5. A new report claims that code extracted from prototype handsets shows that Apple may be planning to include NFC chips and antennas with their next handset, which could signal a shift toward mobile payments on the platform. At least one executive who has a lot riding on NFC believes that it will take Apple climbing on board for the wireless payment technology to really take off. "There is a lot of debate that NFC will never take off because of all the arguments," SITA chief technology officer Jim Peters recently explained in a published report. "But you need to get ready, this is coming. This is going to happen. By the end of the year the majority of smartphones that you go and buy will have NFC on them. If in October the next iPhone comes out and it has NFC on it, it's game over." 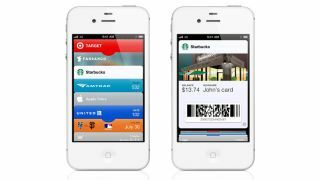 Apple's forthcoming Passbook app, which arrives this fall with iOS 6, promises to consolidate paperless boarding passes, receipts, tickets and other data onto a user's handset, but incorporating NFC into the mix could open the door for mobile payments as well. NFC has been a hot buzzword in recent years, with search giant Google already offering mobile payments on select Android devices through its Google Wallet app. However, that service failed to gain much traction in the market, and many pundits are looking ahead to Apple's adoption of NFC as the tipping point for the technology.